Forget granny smith, apple flavored CBD gummies are the way to go! One of the classic images that come to mind when we picture candy, the Gummy Bear is a staple for any and all stores that carry sweets. Tasty and chewy, each bite will take you back to your own childhood, when a gummy bear was all that you needed to have a good time. 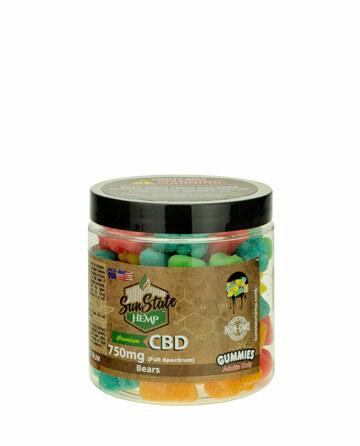 Where Sun State’s gummy bears differ from traditional gummy bears is our inclusion of Full Spectrum hemp oil, as well as other ingredients designed to help promote a sense of calm and overall wellness. 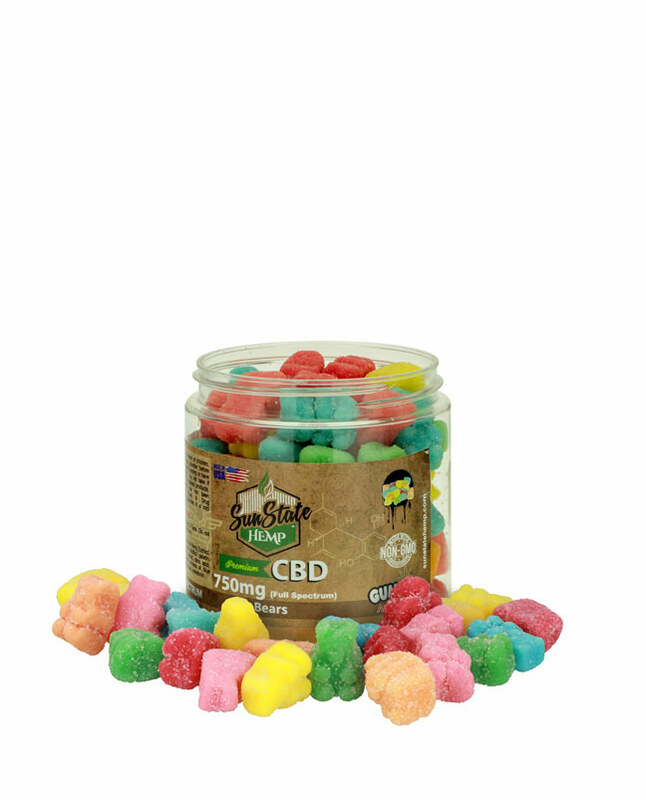 Sun State’s Full Spectrum gummy candies are edibles, meaning you can simply eat them as a means of ingesting CBD and other cannabinoids. We recommend eating 1-3 pieces every six hours. Full Spectrum Hemp Extract, Sugar, Invert Sugar, Corn Syrup, Modified Corn Starch, Wheat, Citric Acid, White Mineral Oil, Natural & Artificial Flavor, Carnauba Wax, Red #40, Yellow #5, Yellow #6, Blue #1, Melatonin.